A gorgeous little chair. Made by Knoll and designed by iconic mid century designer and architect Eero Saarinen. 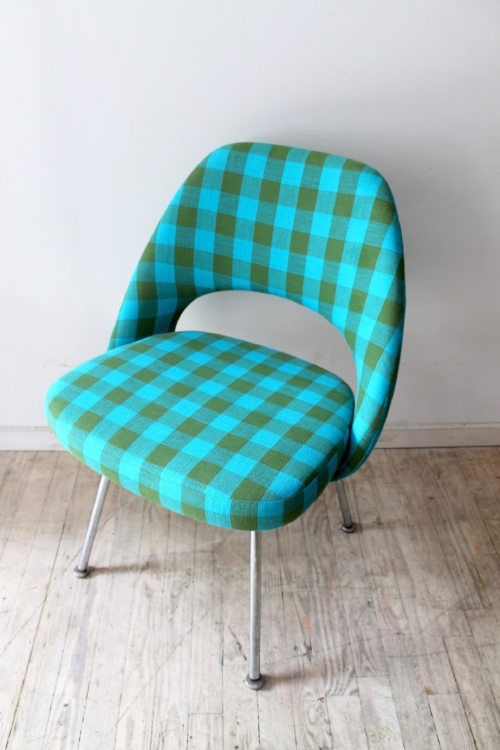 This little chair has had the seat redone in a vintage turquoise and olive plaid. Comfy, practical, and fun!